For the 21st episode of we’re changing things up with the maximum amount of reviewers per show to four and introducing a new snob to the lineup, Big Rob. 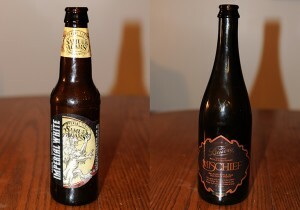 The latest victims to our blind taste testing on this episode Samuel Adams Imperial White and The Bruery’s Mischeif. 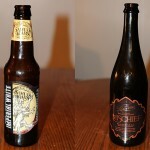 As always tell your friends and let us know what you thought of the beers on the show! Posted in Blind Taste Testing (2011 - 2013) and tagged Golden Strong Ale, Imperial White, labels!, Samuel Adams, taste, The Bruery.